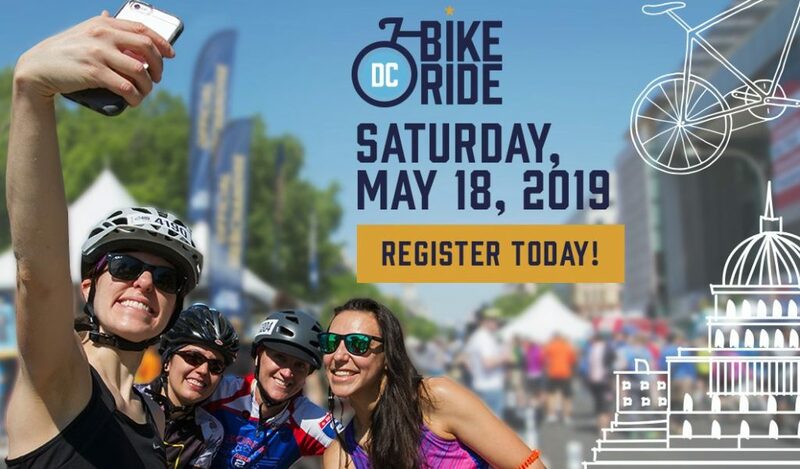 DC Bike Ride is back on May 18 and we promise you don’t want to miss it! The DC Bike Ride is the region’s only car-free, closed-road, recreational bike ride event. It’s the only time of the year you’ll be able to cruise through the streets of DC completely car-free and at your own pace while enjoying music, food and fun along the way. You’ll see some of DC’s most iconic buildings from an entirely new perspective and completely car-free. One-up your Instagram followers and snap epic photos with the DC skyline as a backdrop. It’s not a race. Enjoy the scenery and course at your own speed. All riding abilities are welcome and you don’t need to own a bike to join the fun — we’ve got you and your whole squad covered with plenty of bike rentals available. Enjoy a perfect spring day outdoors with your friends and family. After the ride, dance to some live music, munch on some amazing food from your favorite food trucks and enjoy free giveaways and fun at the Finish Festival. Register now before the price increases on March 1. Kids ages 3 to 7 are ALWAYS FREE and youth ages 8 to 17 are ALWAYS 50% OFF. Join us on Saturday May 18 and let the fun times roll!